In June 2014, the Government emphasised the important role that British values can play in education. Further, how well a school promotes such values is an aspect of Ofsted’s inspection process. Although this is something which is developing in its significance for schools, it is not something new at Greenford CE VC Primary School. 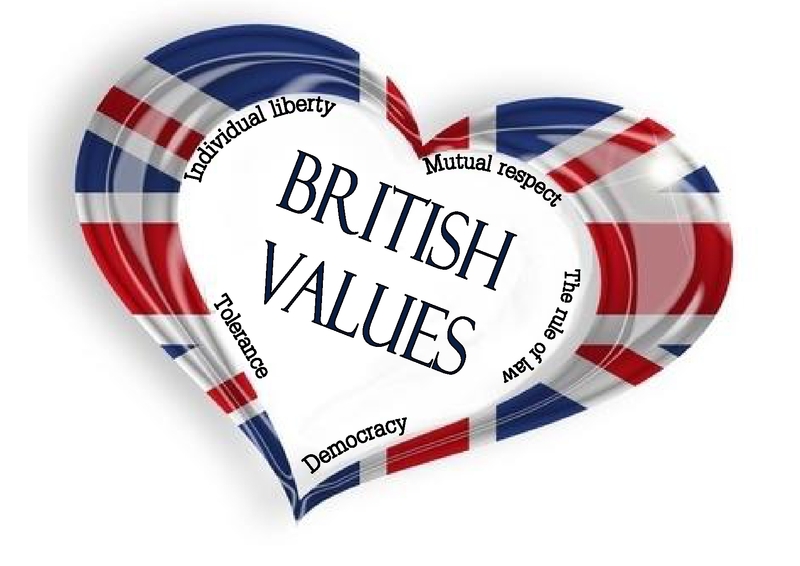 British values are embedded within our curriculum, not least during our school assemblies, RE sessions and PHSE. The values are central to our school mission statement and school values. As well as actively promoting British values, the opposite also applies: we would actively challenge pupils, staff or parents expressing opinions contrary to fundamental British values, including ‘extremist’ views. For information is available within our, Preventing Extremism policy. Schools are subject to a duty (Section 26, Counter-Terrorism and Security Act 2015) to have “due regard to the need to prevent people from being drawn into terrorism”..
As a school, we value and celebrate the diverse heritages of everybody at Greenford School. Alongside this, we value and celebrate being part of Britain. In general terms, this means that we celebrate traditions, such as customs in the course of the year; for example, Remembrance during the autumn term, Christmas time, and pancake making in the spring term. We teach the children traditional country and maypole dancing. We also value and celebrate national events. Children, parents and staff have many opportunities for their voices to be heard at Greenford CE VC Primary. Democracy is central to how we operate. An obvious example is our School Council. The election of the School Council members reflects our British electoral system and demonstrates democracy in action: pupils consider characteristics important for an elected representative, pupils vote in secret using ballot boxes etc. Made up of two representatives from each class, the School Council meets regularly to discuss issues raised by the different classes. The council is able to genuinely effect change within the school; in the past, the School Council has contributed ideas for playground area and, alongside all stakeholders, helped to choose the school logo and mission statement. The Council have also actively been involved in recruitment of staff and in providing teachers with feedback on their learning. Greenford Primary is in an area which does not have significant cultural diversity yet we are proud to promote and celebrate our different backgrounds and beliefs. Mutual respect is at the heart of our aims and ethos – To develop understanding of and respect for a wide range of religious values, languages and cultural traditions and different ways of life – and it’s one of our school rules: We respect everyone and everything. Our pupils know and understand that it is expected and imperative that respect is shown to everyone, whatever differences we may have. Children learn that their behaviour choices have an effect on their own rights and those of others. All members of the school community should treat each other with respect.